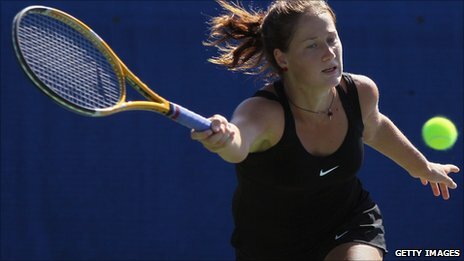 Serbian teen tennis player Bojana Jovanovski had two days to forget after she went to Carlsbad, New Mexico instead of Carlsbad, California for the WTA San Diego Open. The 19-year-old Serb, ranked 53rd in the world, almost missed her Monday first-round match after she was somehow presented with an erroneous ticket to a tiny desert town almost 1500 kilometres short of her intended destination. Things didn’t improve much for Jovanovski once she finally reached the correct Carlsbad. She lost her first-round match against ninth-seeded italian Roberta Vinci 3-6 6-4 6-1.